Where do you start? I read thousands of proposals a year for my Roy W. Dean film grants. I know what wins grants and what turns judges off quickly. Getting it right can be a piece of cake. Getting started may be the hard part, when really, this is the best part. Just write page after page of your visions for the film. Don’t worry if you only need a 6 page proposal and you now have 25 pages, just keep putting down what you “see” happening in your film. Focus on your vision of the film. I realize that you are not sure what your subjects may say in the interviews, but if you did your research thoroughly, you know the subject matter. So, tell it to us as a compelling story and any people you have secured for the film, tell us their story. Your proposal needs to be a visual description of your film. It’s there somewhere in those 25 pages of written material so read them carefully and find the best visual sections to paste into your proposal. Now, read it over and create your first three dynamite paragraphs that tell me a compelling story. Put time into this because it is my introduction to your film. You may have been working on it for over a year, but this is my first look. You need to condense the film to three paragraphs to engage me because the first paragraphs are the most important part of the application. It tells me you are a good writer and it shows me your vision of the film. We fund stories about interesting characters and concepts. The biggest mistake is to tell us the history in the beginning or to tell us how much this film is needed or that you want to send a message. Remember, Harry Warner said, “If you want to send a message, go to Western Union, if you want to make a picture, tell me a story!” That’s just what we want, stories, keep telling us the story and let me see the film it as I read the story. Now, take those 25 pages, cut and paste the information into the background, and keep that separate from the theme and separate from the approach, structure and style. We also want to know how you will market your film. I advise you to think cable outlet, international distribution and web, web, web. Only 1 in 1000 docs gets a theatrical release and that does not always have a financial return. Creative filmmakers are building audiences for their films on the web by organizing communities around the film’s issues and these people are donating to their films and waiting to buy the DVD’s. If you get a distributor for your DVD, you will hopefully make $1.00 a sale. If you sell it on your web site, you will make the full price of perhaps $25.00. That’s a much better way to sell your film. We want to know your plans. Outreach is a major key to socially oriented films; we want to know that the people who need the film will see it so put outreach in the budget. Did I lose you with that last word? Well, you have to face the music and go to the left brain now and do a budget but never fear Norman Berns is here. His web site, www.realgrok.com is perfect for you. He is a doc maker who does business plans and has an on line class for budgets and he will allay your fears. www.grantsmart.org and search for granting organizations by key words and once you find them; go to the foundation center’s finder at www.fdncenter.org. You want to find and check out the Corporations 990 form which is part of their income tax, and foundations center has a slick 990-PF that shows you exactly where the most important funding information is located, see http://foundationcenter.org. I know is sounds sneaky, to look into some corporation’s income tax, but all is fair in love and doc financing. You can access info on over 200,000 U.S. private and community foundations for free and you will find how much an organization donated in contributions, gifts and grants for prior years. 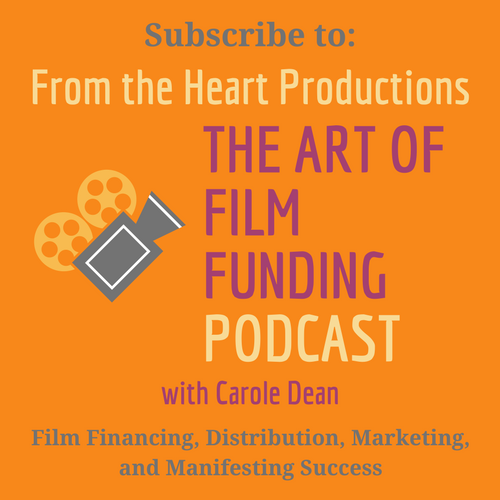 Find a potential funder that matches your film and find the name of the operations officer and, most importantly, find who won last years and prior year’s grants. Is your film a fit? The biggest complaint is that too many people apply for grants that do not fit. See if you can find the prior winner’s web sites, they might even be willing to give you tips on entering this grant. Don’t enter grants you don’t think you can win. Your time is too valuable, it is best to find grants you think you have the best chance of winning and then write a few more paragraphs in your proposal to tailor it just for them. I know when someone reads my grant web site information because they say, “My film is unique and makes a contribution to society.” That’s my mission statement and I like to see this because I know they read the guidelines. While you read each potential funder’s site, keep looking for questions that are not answered, like how many apps did they have last year and what is the amount of money they are giving this year. Now comes the best part of funding. Get the list of Corporations you think are the best ones to submit your film. Find your question that was not answered on their web site and the name of the granting officer and phone number because you are going to call them! Don’t be shy. You would never enter a grant without first making contact with the grantor. This is your great opportunity to introduce yourself and make an important connection. Place your call in “prime time” from 10 to 12 or 2 to 4 and ask to speak directly to the operations officer in charge of the grant. If they don’t answer, try again later or get information on the best time to reach them. Your job is to touch them, remembering that we communicate through the heart chakra. I say, “Touch my heart and I reach for my pocket book.” Keep this in mind when creating your short pitch. This connection puts energy to your application; it is the voice behind the film. Now what will you say when you get them on the phone? Go back to your 25 pages and create two lines that bring your film to life and tell them this story as your pitch. Tell them the title of your film and give them this short pitch. Don’t over pitch, that’s the worst thing you can do. Just tell them enough of the story line for them to remember you and the pitch. You read this person’s bio on the site and you know the films she/he funded in the past so you want to compliment them on their past selections and for their on-going contributions and support of filmmakers and ask your question that was not answered on the web site. Be relaxed, have your check list of these things in front of you and make a good impression and keep this phone call under three minutes. Be sure to listen to what they say. Let them talk. Once you hang up the phone, write them a nice Hallmark card and mail it that day. Be sure to thank them for the information. Give them your short pitch again in the card. You now have two connections with this person and when they see your application they will remember you through the call and the card and the story of your film. Realize that we want to fund you; we are looking for emerging and established filmmakers with engaging stories to tell. We know you are talented, most of the people who give grants are not filmmakers, we are your admirers, and we are astonished at your talents. The golden rule in applying for grants is “never give up.” Keep going back, I have funded 2 films that entered my grant 3 times, I love filmmaker’s tenacity.